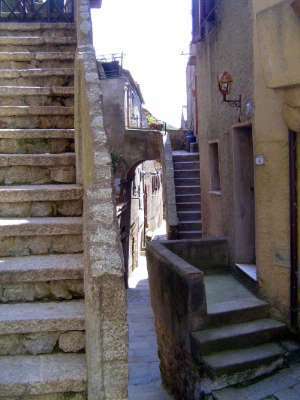 Ten miles off Italy's west coast, and 90 northwest of Rome, Giglio is no Capri. 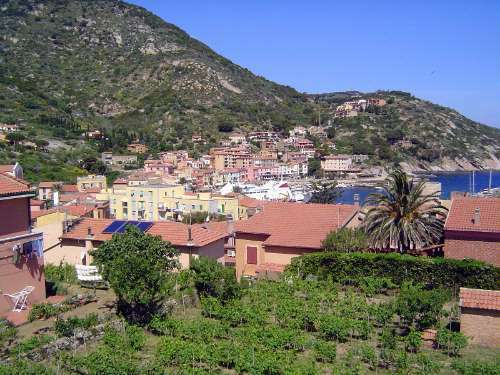 Its population of 1400 rises in the summer, but mostly with Italians instead of foreigners. 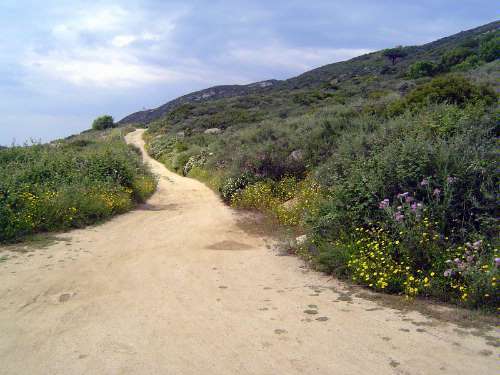 Even then, most of the island, five miles north to south and half that east to west, is empty, rocky, and fragrant. 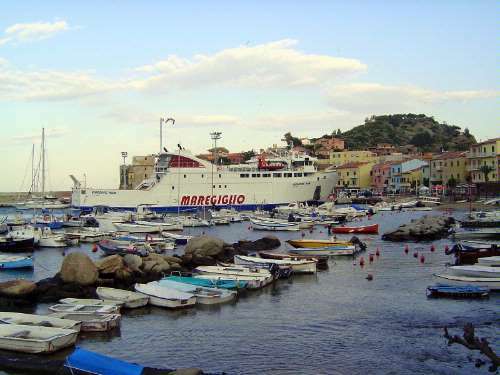 The biggest town is Giglio Porto, on the island's east coast. A ferry to the mainland is docked in the harbor. The Torre Saraceno peeks from behind the ferry. 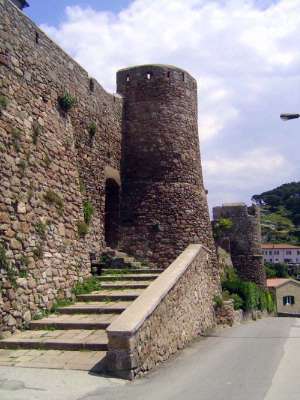 Built in 1596, the tower was part of the island's defenses against pirates. 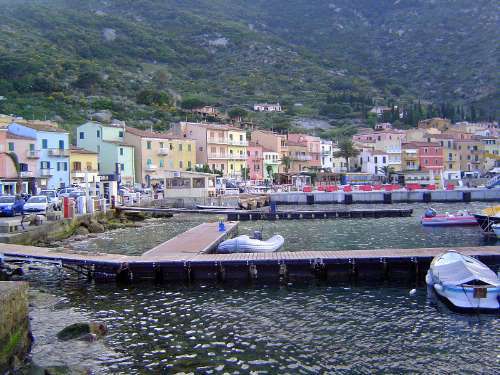 The town forms an arc around its harbor. The waterfront has restaurants and shops, but no hotels. 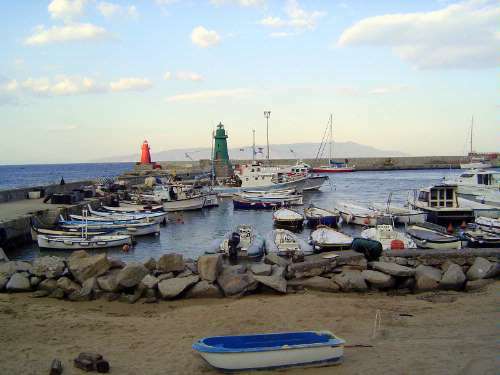 The breakwaters were rebuilt after a storm in 1979 destroyed the existing docks. 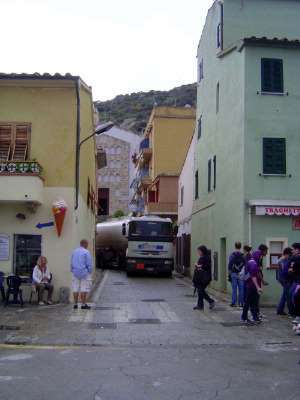 The main road from the port to the island's other two towns makes no concessions to modern traffic engineering. Here, a fuel tanker returns to the port. A ferry has recently landed, so there's a crowd for a few minutes. 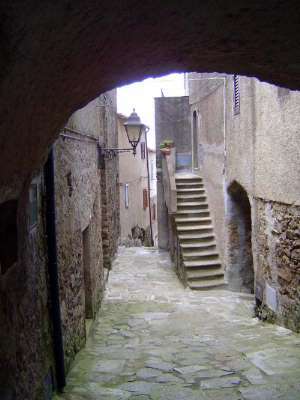 The high point of the island has a small walled town appropriately called Castello. 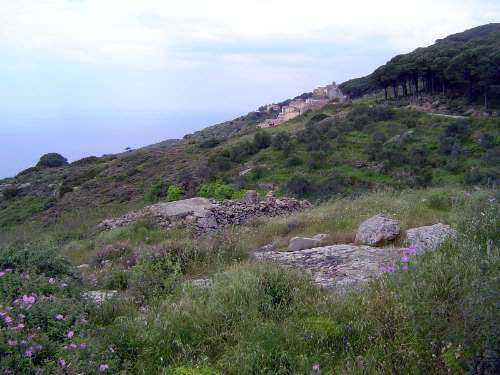 In exchange for their security, residents had to forever climb up and down on the slopes of this island, called Aegilion by the Greeks. 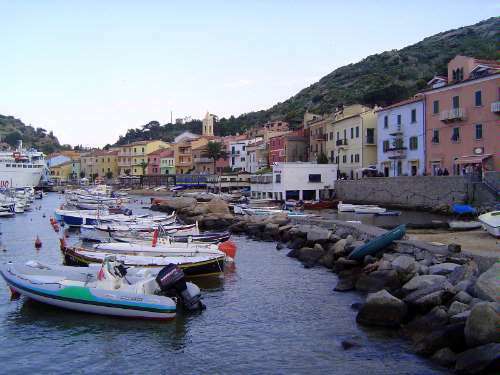 Hence Giglio, etymologically "Goat Island." 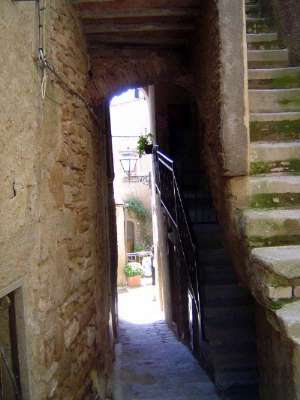 The entrance to Giglio Castello. 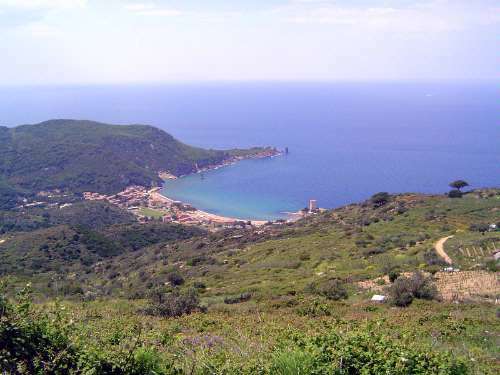 The view from Castello down to the island's west coast, facing the infinite Mediterranean. This is the island's best beach, which is why most tourist accommodation is here, in the relatively new town called Campese. Here, too, there's a defensive tower, visible at the north end of the beach. 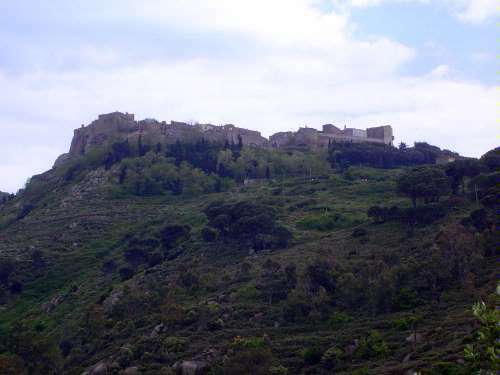 Built by the Medicis, it helped repel the island's last pirate assault--Tunisian pirates who attacked in 1799. Once off the paved road between the three settlements, you're on dirt. 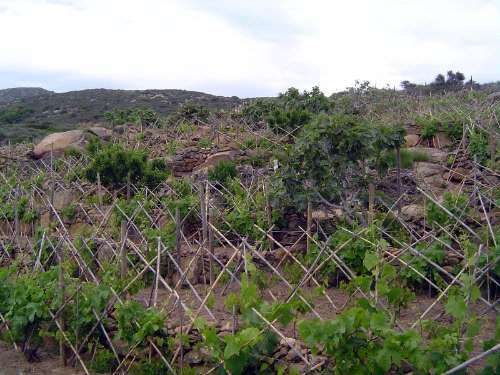 Scattered ruins, terraced vineyards, and pine plantations.